Filing for bankruptcy can be a real wake up call. After finally get the debt relief that you need, you don’t want to waste the opportunity and find yourself in the same financial distress that caused you to file in the first place. Before you can make any decisions about your budget, you have to have a clear understanding of all your income and expenses. You must be completely honest when compiling this list, which means accounting for all those $5 lattes you buy on your way to work and the little indulgences you pick up at the mall on the weekend. You need to see where all your money is going. You may need to gather your credit card and bank statements to track these expenses, as you are likely to be unaware of how much you are spending on these items. Financial counselors recommend that no more than 70 percent of your income go toward living expenses, such as your rent or mortgage, utilities and groceries. You should pay 20 percent of your income to your creditors, such as your car payment and your credit cards, and you should put 10 percent toward savings and investments. Once you’ve made a list of all your income and expenses, you’ll be able to easily determine what ratios you are currently spending. You may then need to make adjustments to get into those healthy ratios. If you are spending too much on living expenses, for example, you may need to move into a smaller home or an apartment with cheaper rent. Since you’ve already filed for bankruptcy, your debts should be limited, so you should not have to worry about that ratio being too high. Your bankruptcy may have wiped out enough of your debts that you have no problem paying for your expenses with your current income. However, you may find that you still don’t make enough to take care of all your expenses. You have two options: Either find a way to increase your income or cut some expenses. Cutting expenses is usually the easiest option for most people. You can move into a smaller home, trade your car in for a used model or sell it and take public transportation, cut cable and get movies from the library instead, and eat at home more often instead of eating out. Making small changes can add up fast. To increase your income, you might talk with your boss about a raise, or you might consider getting a second job. If you have a hobby, you might think about doing it for extra money. Budget software can help you make sure you stay on track after you have put your spending guidelines in place. Most budget software will automatically categorize your expenses so that you can see what percentage of your budget is going to things like living expenses, entertainment, and so on. If you start to tip the balance of your budget, the software will show you quickly. The software will also limit the temptation to overspend. Even if you don’t overdo it in any one area of your budget, just knowing that you are going to have to track any expenses you make will keep you from spending. You never know what can happen. You can lose your job, become ill or become injured, losing your ability to bring in income and causing you to rack up thousands in medical debt. An emergency fund can help you deal with such situations and make it through without financial ruin. Save enough to get you through at least six months without any income. Also be sure that you have the appropriate insurance to cover any illness or injury you may experience. These budget tips are sound even if you haven’t filed for bankruptcy. By following these tips, you may be able to create the financial health to avoid bankruptcy altogether. 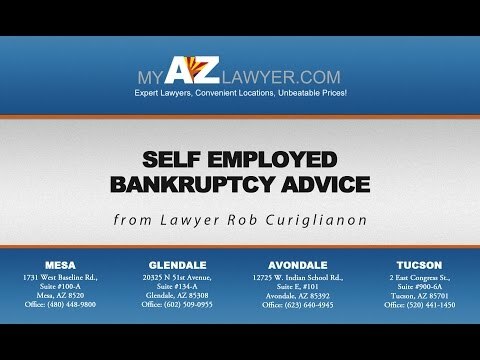 If you do need to file for bankruptcy, we can help. An Arizona bankruptcy lawyer from our team can help you understand your options for debt relief so that you can get a fresh start. You may be able to discharged debts, or you may be able to get on a structured repayment plan that lowers your overall expenses. Call us today to talk to a Phoenix bankruptcy lawyer and learn more about your options.